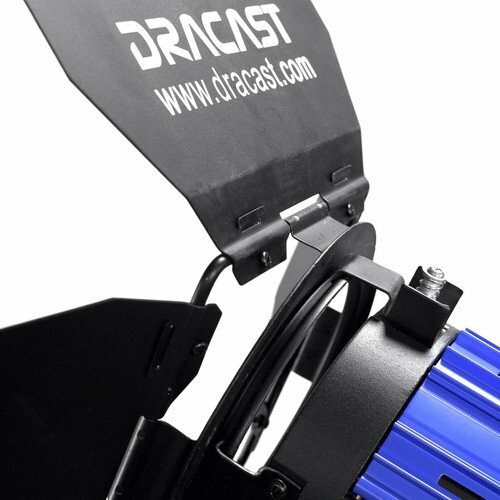 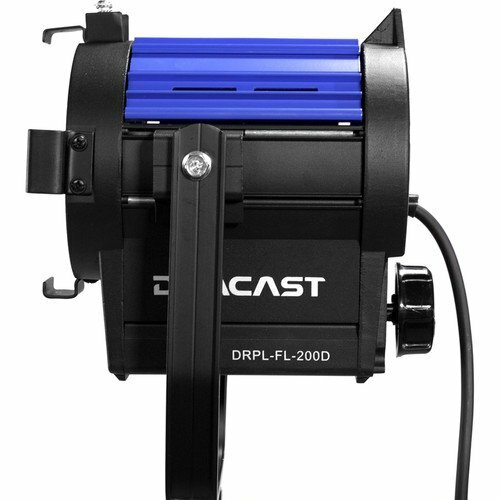 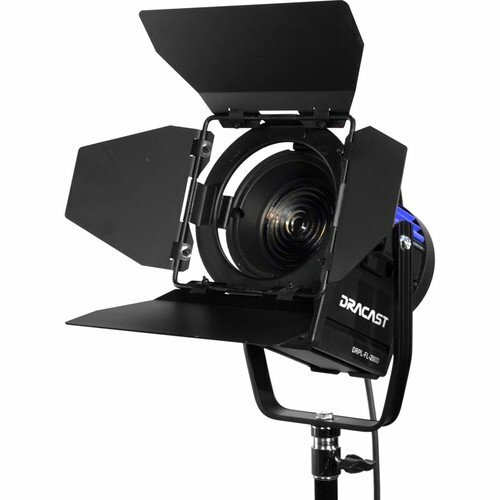 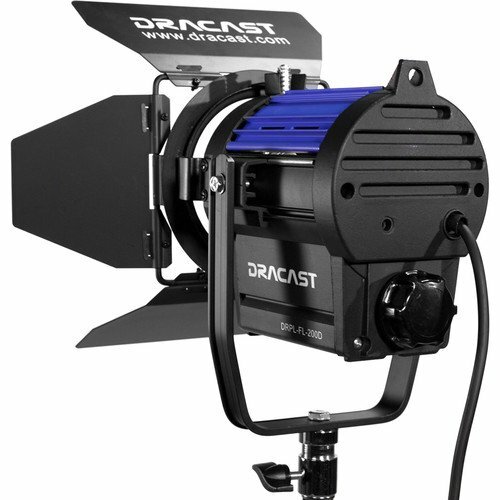 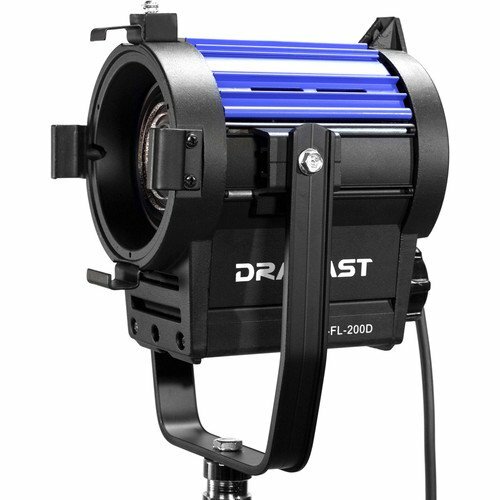 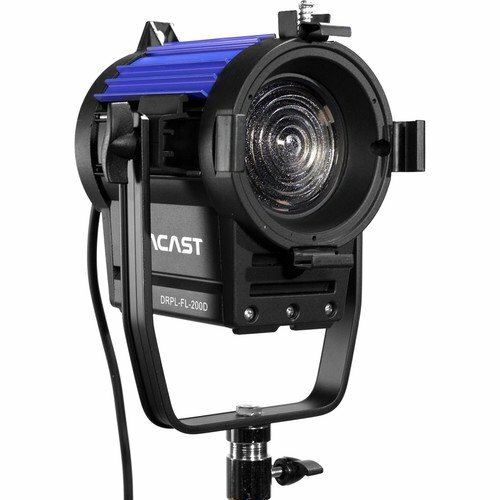 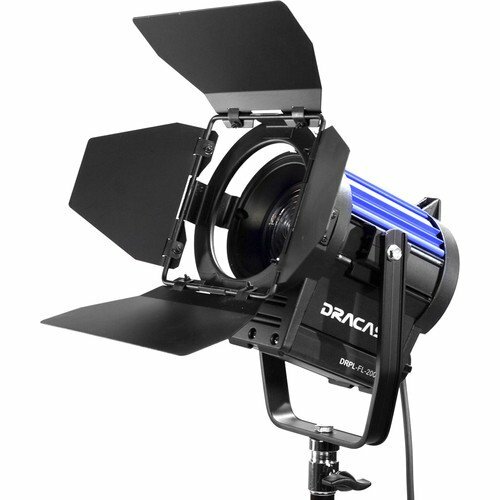 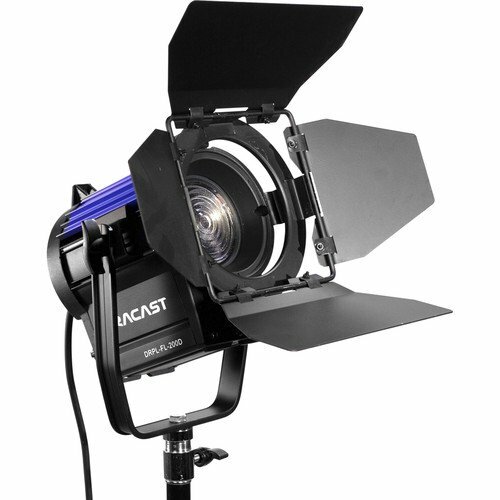 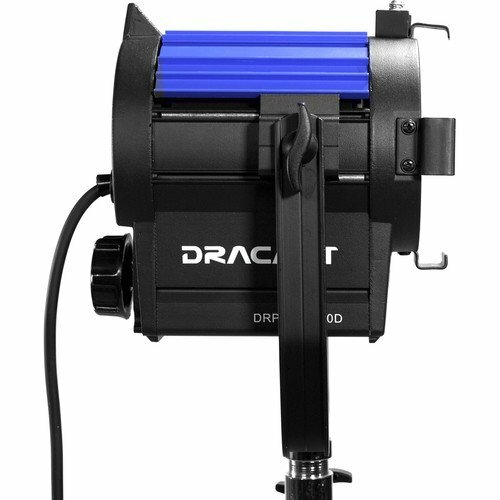 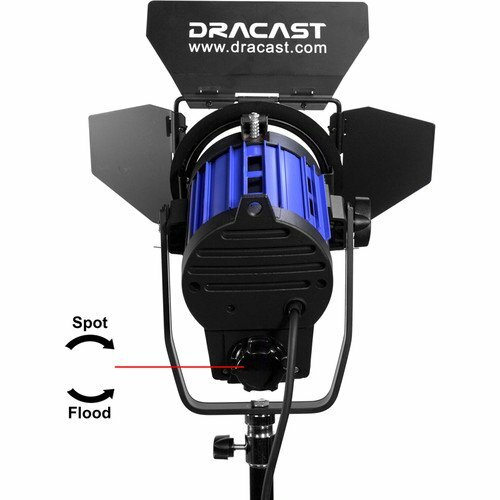 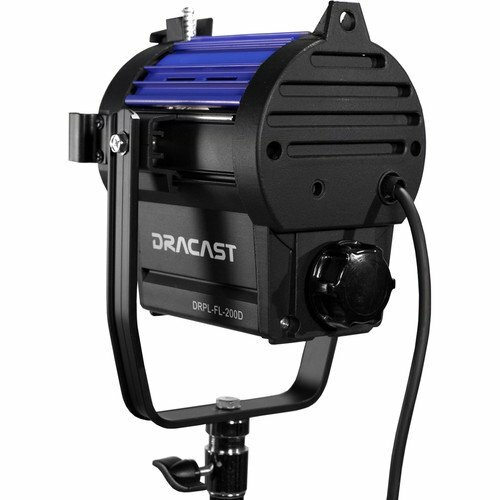 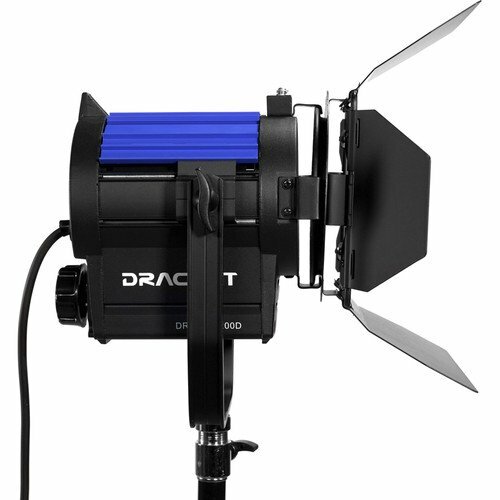 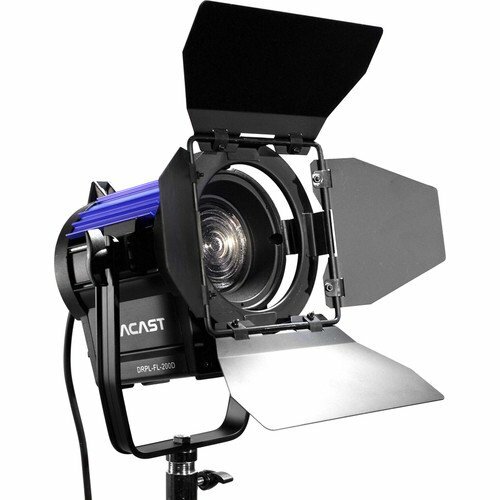 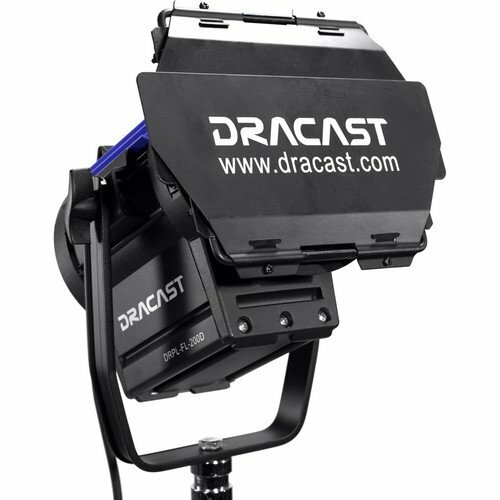 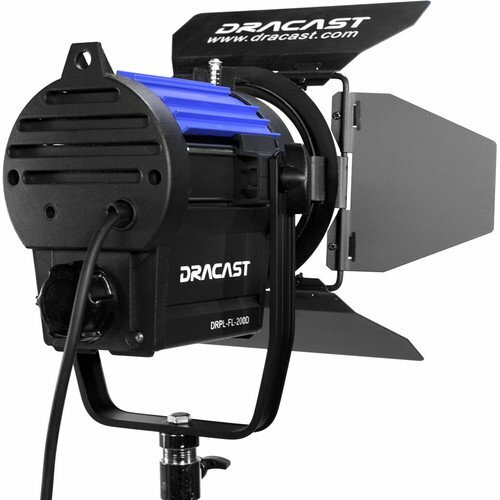 Part of the expanding line of Fresnels, the Fresnel Studio LED200 Daylight from Dracasthas the same quality features as its larger siblings like the Fresnel 2000, but in a smaller lighter package. 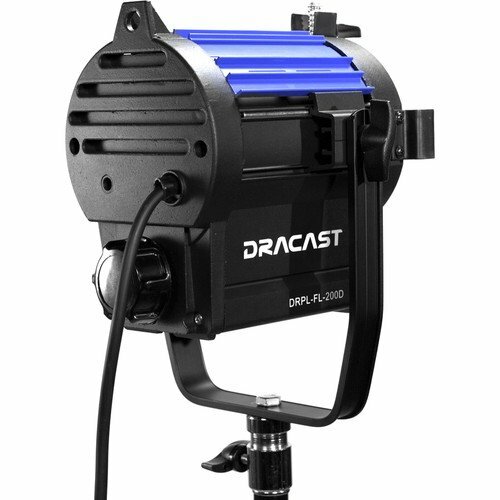 Ideal for working close-up where less power is needed, the Fresnel 200 offers 0-100% dimming locally and high output with extremely low power draw and virtually no generated heat. 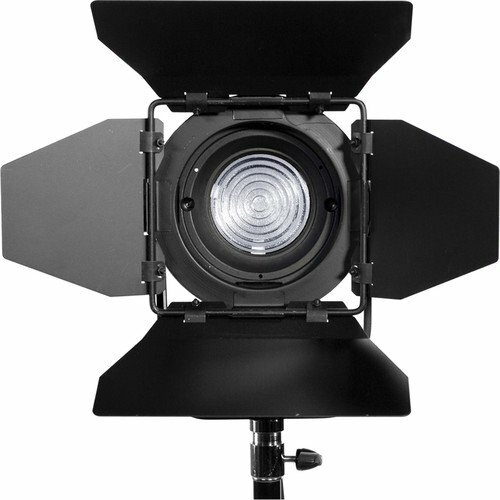 This means that no fan is needed and the light runs dead quiet – an important feature in sound-sensitive environments. 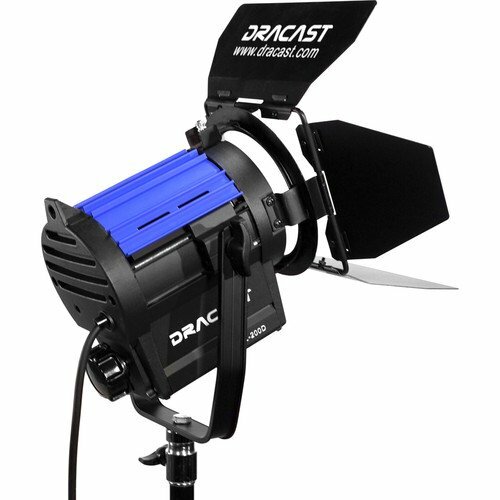 And the output has a very high CRI rating of 95 thanks to Dracast’s use of Cree Surface Mount LED, meaning faithful rendering of colors down to the most subtle tones. 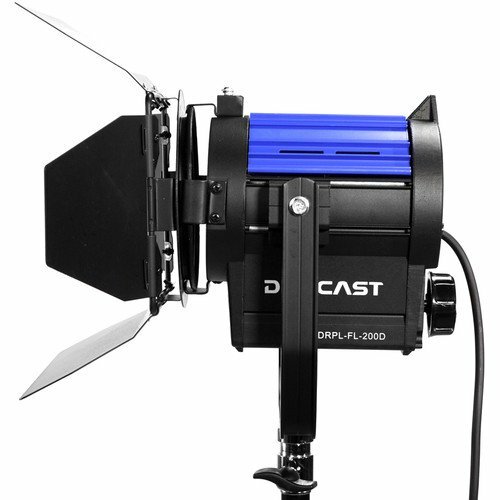 The LED 200 is built on a sturdy aluminum alloy housing and comes with a mounting yoke and 4-way barndoors. 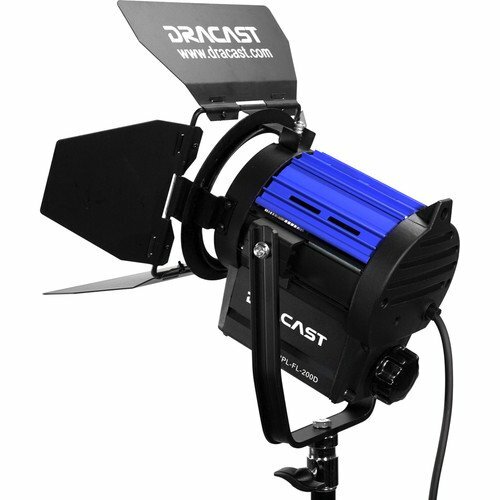 Box Dimensions (LxWxH): 13.2 x 10.5 x 9.2"